Welcome back to the final of our summer collection of SEO insights from the SEO team at Wolfgang Digital. Boy, is it action packed this month. Saddle up and get that double espresso into you as you settle into your ten-minute whistle stop tour of Search Engine Optimisation updates from August. We explore a number of features that may seriously impact your website, both positively and negatively. One big one right now is making the move from HTTP to HTTPS. It's really important now to make the move. We've been pushing it with our clients for the past 12 months or so and now it is more important than ever. 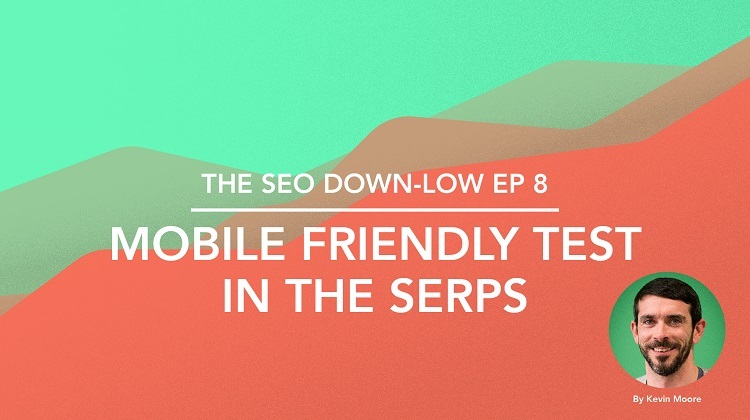 The other elements of this episode include an overview of the recent algorithm updates throughout August and how you can simply test any of your site's URLs directly in the SERPs. Finally, we have a special treat for those of you who brave the nerdy SEO talk and make it to the end. So, let’s do it, put your headphones on and enjoy the journey. Smack bang in the middle of August, Google rolled out their latest quality update (according to Glenn Gabe). The rollout started with a test on the 14 August and followed up with the final punch on the 19 August, causing major chatter and concerned voices amongst the search industry. Some websites felt improvements while others slipped down the SERPs and experienced lower organic ranking and traffic on certain keyword sets. The primary focus of the update has yet again been on websites that deliver bad user experiences. Glenn Gabe goes into great depth on some of the websites he works with, highlighting the highs and lows experienced in both Search Visibility, Keyword trends and Organic Traffic fluctuations. Glenn was able to look back through the data and correlate websites that had previously experienced volatility when quality updates were released, again suffering on 19 August. 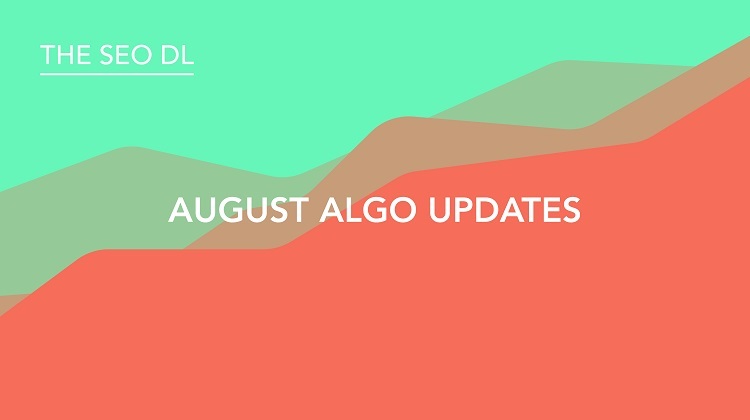 With some websites suffering from the 19 August Algo Update, Google took no time in releasing the second most significant update in August. This particular update has been called ‘Hawk’ by those in the industry. The 22 August update, did not cause massive tremors in the majority of tools that are available. Except for those who have websites left reeling after the September 2016 update labelled ‘Possum’ which targeted local SEO. 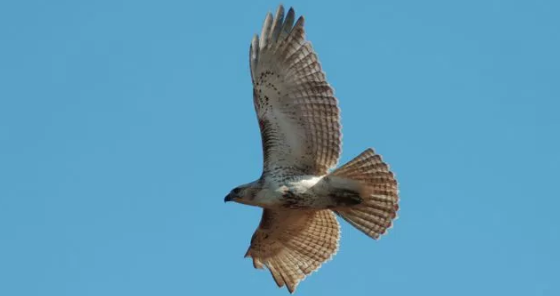 Almost a year to the day and Google appear to have rolled back the update and algorithm leading to the name of this update being called ‘Hawk’, yes you are correct, Hawks prey on Possums. When Possum rolled out, some particular businesses were removed from the local results, simply because a higher ranking competitor located just down the road was included above them. This has all appeared to have changed and local businesses that were negatively impacted one year ago are starting to experience visibility in the local pack searches again. If you want to find out more drop the SEO team a line and our local SEO experts will be glad to advise. Moving on from the two big changes deep in Google's bowels, here we bring you a lovely new addition to Google’s forefront SERP tools. 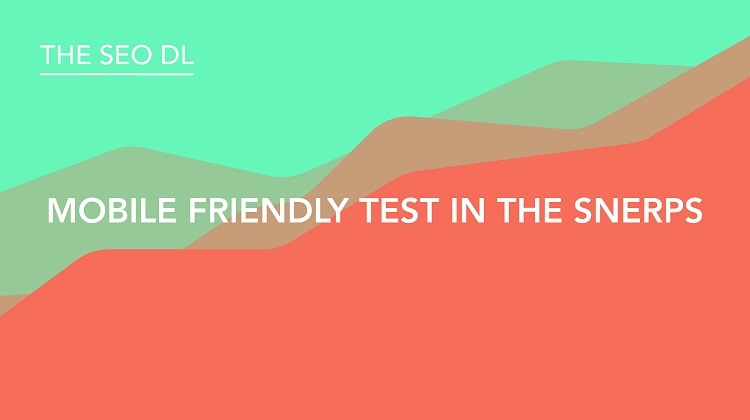 Simply Google Search for the term ‘mobile friendly’ and hey presto you have the tester right at your fingertips. Insert your URL, hit ‘Run Test’ and away she goes, your page is now receiving the full mobile friendly analysis required by Google. Happy days, the Page is mobile-friendly. Go on, run a few pages from your own website and see how they fare out. If there is anything that concerns you feel free to drop us a line and we can run a full SEO tech audit on your site. It’s only a couple of weeks down the line, Google will roll out the second phase of HTTPS penalisation to websites that are ignoring the repetitive push from Google to migrate to HTTPS. Firstly, back in February any sites collecting passwords, such as member site logins, and even admins logging in to their sites were hit with the ‘Not Secure’ if they had refused to move from HTTP to HTTPS. Then in April, Google sent out the warning that if websites will receive the “NOT SECURE” warning in Chrome for sites collecting any data from viewers or visiting the site via an incognito window. There really has been plenty of time to get the job done, however, there will always be a few sites who fail to make the move in time and will suffer a loss in conversions on their websites due to this extremely negative user indicator. Luke, our Head of SEO highlights the importance of making the move to HTTPS and how many Irish websites are potentially going to be affected by the October HTTPS update. The GIF above is from the horse’s mouth, Google Chromes own blog ‘Chromium’ explains graphically how the Chrome 62 update will impact on websites. With more and more internet users understanding the need to protect their identity, credit cards and everything else while online, Ofcom released a really interesting study titled ‘Adults’ media use and attitudes’ that really highlights how many users are becoming savvier. 67% of users check to see if the site looks secure before entering personal details on a website, therefore, a potential 67% of users will leave your website if you do not have the all important green padlock in place. Time to get the skids on folks. 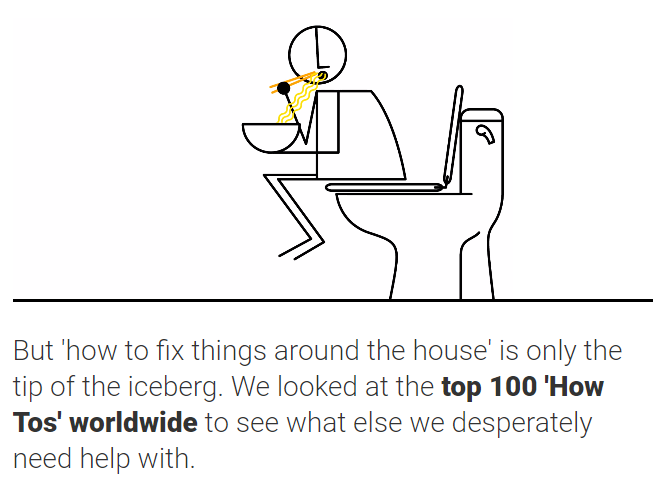 The Google Trends team and world renowned designer Xaquín González Veira formerly of “The Guardian”, “National Geographic” and “the New York Times” joined forces to create Google’s latest visual: How to fix a toilet...and other things you couldn’t do without Search. Head over to the interactive website and enjoy some time wasting on us. Thanks again for your time, we look forward to delivering some interesting, educational and light-hearted SEO tips and advice for many months to come.